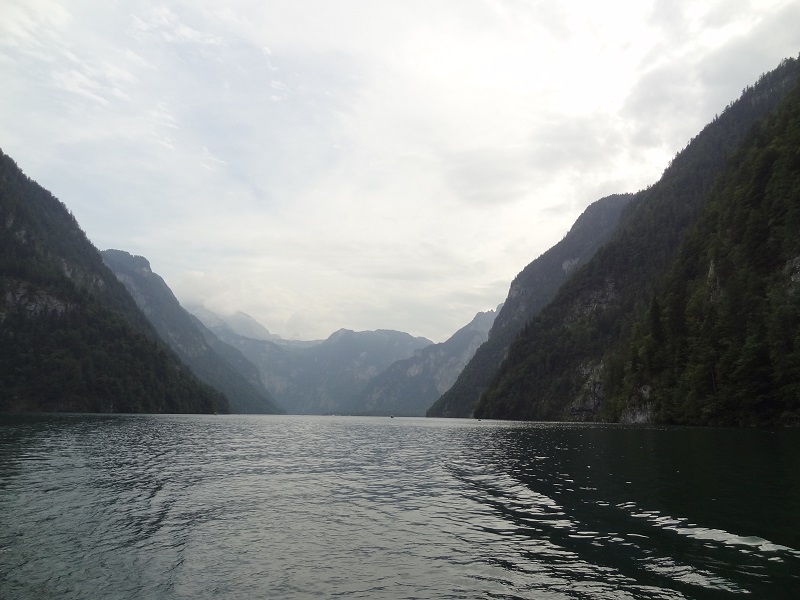 I recently visited Königssee, an alpine lake which is part of Berchtesgaden National Park. This area is without a doubt one of the most striking landscapes of Germany. 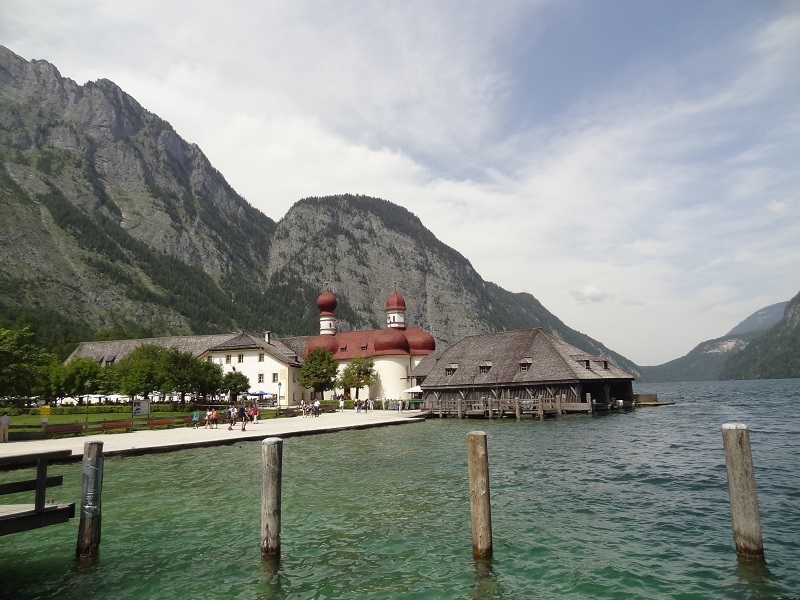 It is located in the very southeast of the country, quite close to Austria. The lake is towered by the Watzmann, the second-highest mountain of Germany, with a height of 2713 m. It looks nearly a bit like a Norwegian fjord, with high cliffs rising on the sides of the lake, which has a total length of 7.7 km. The average depth of this lake is 98.1 m, but some areas are up to 190 m deep. The crystal-clear water is very cold and quite low in nutrients, and only populated by a small number of fish species, mainly salmonids, but also burbots (Lota lota), European perches (Perca fluviatilis), Eurasian minnows (Phonxinus phonxinus), European bullheads (Cottus gobio) and northern pikes (Esox lucius). In general the pike is the second largest non-anadromous predatory fish of most of Europe, and where the giant wels catfish Silurus glanis (which reaches in parts of its range exceptional record sizes of around 2.80 m and weights up to around 150 kg) does not occur, it´s even usually the biggest. But not at Königssee. The cold waters in the shadow of the Watzmann are the home of another giant fish. It is the Seeforelle, the largest salmonid fish of the lake. The name Seeforelle translates to „lake trout“, which should not be confused with the lake trout or namaycush (Salvelinus namaycush) of the North American continent, which is no trout at all, but a huge charr. To make things even more confusing, you can find namaycush now even in some alpine lakes at Europe, where they were introduced at around 1900. The Seeforelle is not a species of its own, but a very large-growing ecotype of the common brown trout Salmo trutta. This fish usually lives in cold and clean streams and creeks, and normally doesn´t grow bigger than around 30-40 cm, and in very cold and nutrient poor alpine brooks it sometimes even grows not bigger than 20 cm for its whole life. But this fish has a fascinating plasticity, and can adapt to a wide range of habitats. In marine areas, it will grow into the large and salmon-like sea trout, and in large deep and comparably cold lakes it can form a much bigger ecotype, the Seeforelle. The Seeforelle differs from the normal brown trout not only in size, but also in its colour. Brown trouts are usually of a yellowish-to greenyish or brownish basic colour with black and red spots (the brown trouts of the Isles however usually lack those red spots). The Seeforelle is however silvern and has normally only black spots. In contrast to the brown trout, whose diet consists to large degrees on insects and aquatic insect larvae, the Seeforelle is mainly a piscivore, which feeds on other fish. 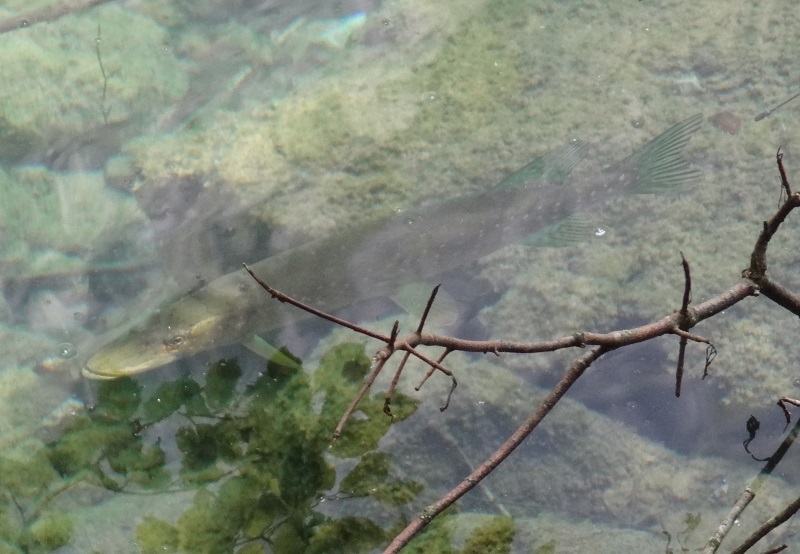 At Königssee, this includes another fascinating salmonid, the Schwarzreiter, a very small local form of the arctic charr (Salvelinus alpinus). This big-eyed deepwater charrs grow not much bigger than 20 cm, and feeds on invertebrates and are just bite-sized for the large specimens of the Seeforelle. In 1976, a true monster specimen was caught. 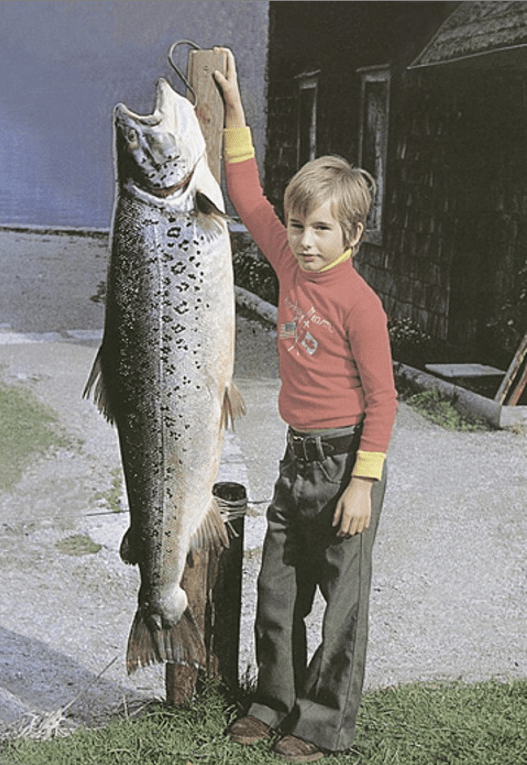 This gargantuan trout had a length of 1.25 m, a girth of 80 cm and the incredible weight of 27,5 kg. That´s even a good bit heavier than the rod and reel world record of 25 kg for the northern pike (there are however some slightly bigger specimens known which are not included in official angling record lists, and pikes grow also longer). 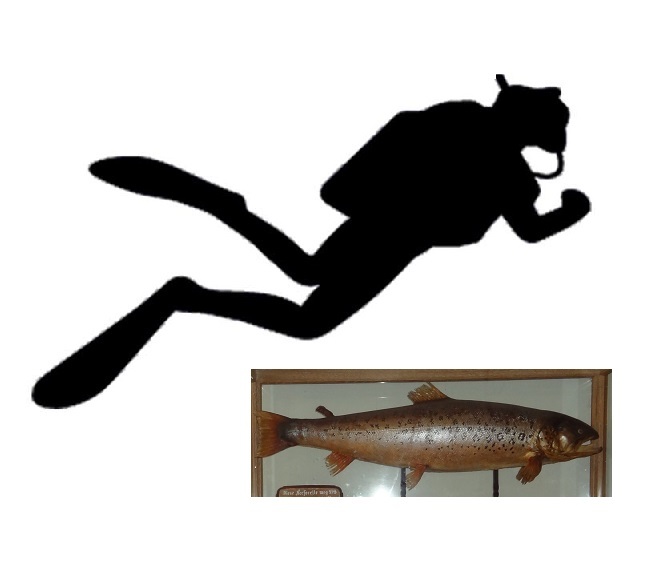 The mount of this huge trout is now exhibited at the restaurant at St. Bartholomä, a historic hunting lodge next to the famous church of the same name, which is located at the base of the Watzmann. You can also see an old photo of the freshly-caught trout here. Giant Seeforelle at St. Bartholomä, Königssee. It is sadly not really easy to show the huge size of this fish without a good size reference. 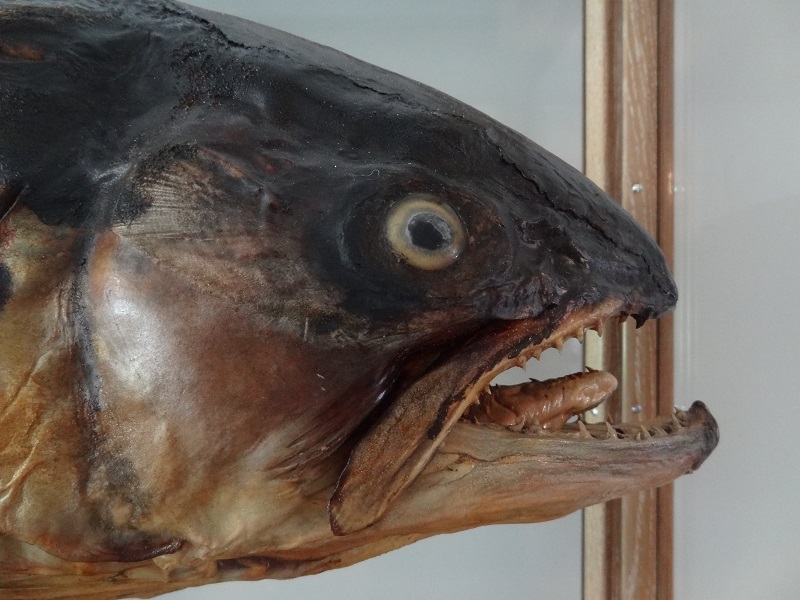 I have seen a lot of big taxidermy salmonids, but when I saw this one, I was nearly a bit shocked by its dimensions. Giant trout from Königssee, head detail. Of course this was a truely exceptional fish, and much, much bigger than the average. 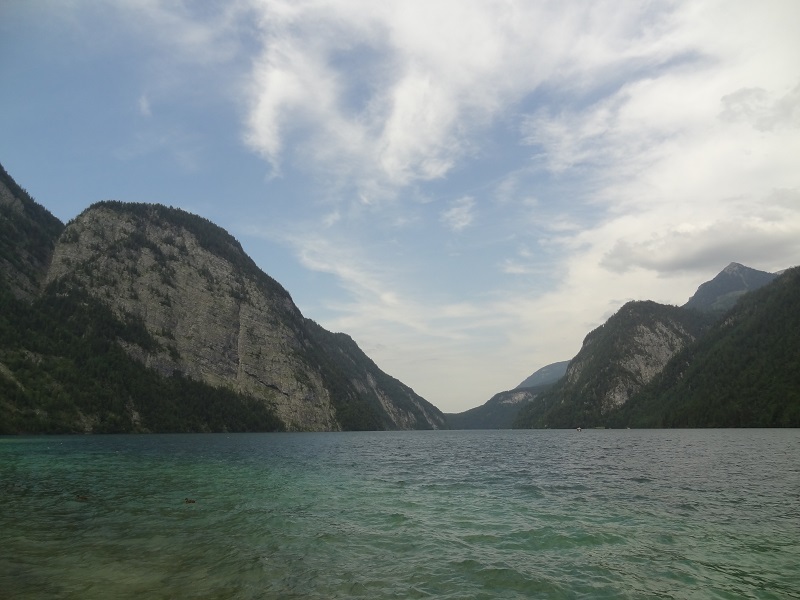 As angling is not allowed at the lake, and only a single commerical fisherman has the liscence to fish at the lake, it is however possible that there are still a few monster trouts lurking in the depths of Königssee. The old hunting lodge on the left with the baroque church St. Bartholomä in the middle and the Watzmann in the background. Here is also a photo of one of the pikes I´ve seen at Obersee lake, a smaller lake south of the Königssee, which is separated from the main lake by a moraine. It is much lesser depp and lesser cold, with much shallower tree-lined watersides, and a much better habitat for pikes. I was really suprised by the number of pikes I discovered from the path above the lakeside. I saw seven specimens at least, with the largest ones in the 70-80 cm range. It is a good example of a healthy natural ecosystem where pikes are not targeted by fishing anymore. 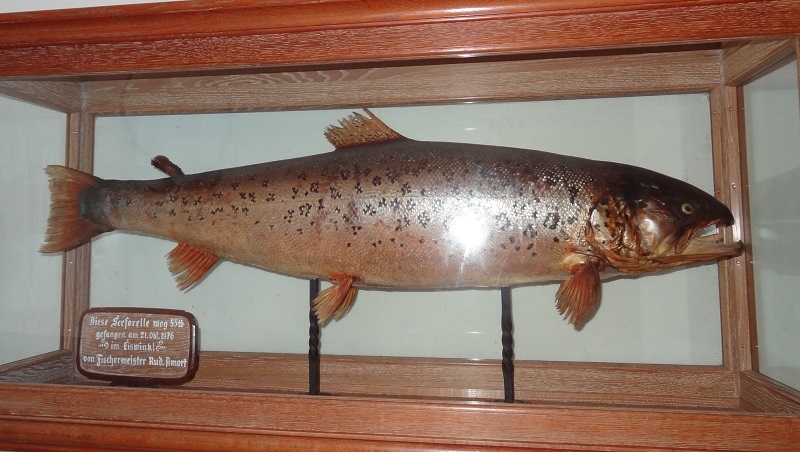 It is however noteworthy that even the largest specimens of the Seeforelle are still surpassed in size by the largest specimens of two other European salmonids, the Atlantic salmon Salmo salar (like this historic monster specimen about which I blogged some time ago) and the huge huchen (Hucho hucho), about which I will write at another time. Dieser Beitrag wurde unter Fische, Megafische, Naturbeobachtungen veröffentlicht. Setze ein Lesezeichen auf den Permalink.